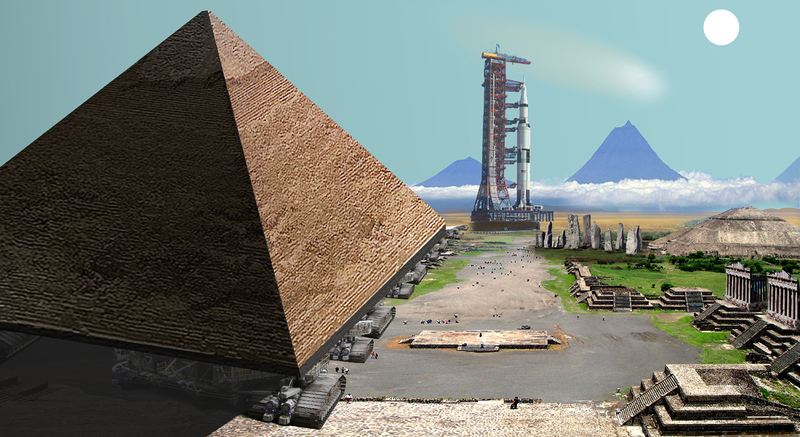 I measured the base of the Great Pyramid and carefully compared it to the size of NASA's enormous "Moon crawlers" aka mobile platforms. 5 crawlers lined up are approximately equal to the base. Then I made this scene.